1. You should treat each therapy session as a mini-experiment, with your client involved in a single-subject study. Therapy should be based on a clinical hypothesis, not a lesson plan. 2. You should become an independent consumer of research. 3. Your term papers should represent an original synthesis of a variety of findings and opinions on the topic you are studying. Recognizing that students have different learning styles, I'd like you to explore different ways of learning (and teaching), including videotapes of human dissections and unusual neurogenic communication disorders, computerized self-instruction of anatomy and physiology, and seminar explorations of such topics as, "Is aphasia language without thought or thought without language?" Fulbright Senior Specialist in Applied Linguistics/TEFL at Unversidad Pedigogica Nacionale in Bogota, 2013. Taught and mentored graduate TEFL students in professional writing and research methods. Mentor to graduate orthophoniste student in Paris, 2009-2010. She translated my test (Stocker Probe for Fluency and Language, 3rd ed.) into French and conducted empirical research on bagaiement (stuttering) in French schoolchildren. Halpern, H. & Goldfarb, R. (2013). Language and Motor Speech Disorders in Adults, 3rd ed. Burlington, MA: Jones & Bartlett Learning. Goldfarb, R. (Ed.) (2012). Translational Speech-Language Pathology and Audiology. San Diego, CA: Plural Publishing, Inc..
Goldfarb, R., & Serpanos, Y. (2011). Professional Writing in Speech-Language Pathology and Audiology Workbook. San Diego, CA: Plural Publishing, Inc..
Goldfarb, R., & Serpanos, Y. (2009). Professional Writing in Speech-Language Pathology and Audiology. San Diego, CA: Plural Publishing, Inc..
Goldfarb, R. (2006). Ethics: A Case Study From Fluency. San Diego, CA: Plural Publishing, Inc..
Stocker, B., & Goldfarb, R. (1995). The Stocker Probe for Fluency and Language, 3rd ed. Vero Beach, FL: The Speech Bin. Santo Pietro, M.J., & Goldfarb, R. (1995). Techniques for Aphasia Rehabilitation Generating Effective Treatment (TARGET). Vero Beach, FL: The Speech Bin. Goldfarb, R., & Santo Pietro, M.J. (2012). The Use of Sets in SLP Diagnosis and Treatment. In R. Goldfarb (Eds.). Translational Speech-Language Pathology and Audiology. Plural Publishing, Inc..
Goldfarb, R., & Raphael, L. J. (2012). An Acoustic Analysis of a Case of Amusia. In R. Goldfarb (Eds.). Translational Speech-Language Pathology and Audiology. Plural Publishing, Inc..
Goldfarb, R. (2006). An Atheoretical Discipline. In R. Goldfarb (Eds.). Ethics: A Case Study From Fluency. (pp. 129-142). Plural Publishing, Inc..
Goldfarb, R. (2006). Diagnosis. In R. Goldfarb, (Eds.). Ethics: A Case Study From Fluency. (pp. 12-29). San Diego, CA: Plural Publishing, Inc..
Goldfarb, R. (2006). Differential Diagnosis of Adults with Neurogenic Communication Disorders. In E.M. Walsh (Eds.). Topics in Alzheimer's Disease Research. (pp. 89-109). Hauppauge, NY: Nova Science Publishers. Goldfarb, R., & Halpern, H. (1989). Impairments of naming and word finding. In C. Code (Eds.). The characteristics of aphasia. (pp. 33-52). London, United Kingdom: Taylor and Francis. Tiegerman, E., & Goldfarb, R. (1985). Autism. In T. Husen & T. N. Postlethwaite (Eds.). The international encyclopedia of education. (pp. 385-389). Oxford, United Kingdom: Pergamon. Goldfarb, R. (1985). Speech handicaps/communication disorders. In T. Husen & T. N. Postlethwaite (Eds.). The international encyclopedia of education. (pp. 4760-4766). Oxford, United Kingdom: Pergamon. Goldfarb, R. (1981). Operant conditioning and programmed instruction in aphasia rehabilitation. In R. Chapey (Eds.). Language intervention strategies in adult aphasia. (pp. 249-264). Baltimore, MD: Williams & Wilkins,. Goldfarb, R., & Halpern, H. (1980). A syntactic analysis of word association responses of aphasic and non-aphasic subjects. In D. Oborne, M. Gruenberg, & J. Eiser (Eds.). Research in psychology and medicine. (pp. 354-359). London, United Kingdom: Academic Press. Goldfarb, R., & Halpern, H. (1979). Aphasic comprehension of time-altered word association stimuli. In J. Andrews & M. Burns (Eds.). Selected papers in aphasia. (pp. 22-25). Evanston, IL: Institute for Continuing Professional Education. Goldfarb, R. (2015), Modifying melodic intonation therapy. J Commun Disord Deaf Stud Hearing Aids, 3. Goldfarb, R. (2014), Curses, blasphemies, and obscenities: An analysis of strong language. International Journal of Linguistics and Communication, 2,, 1-7. Baylow, H., Goldfarb, R., & Steinberg, R (2014), Swallowing effect and suspected neuromuscular fatigue in adults with acute stroke: A videofluorographic analysis. Journal of Medical Speech-Language Pathology, 21, 333-342. Arroyo, C., Goldfarb, R., & Sands, E. (2012), Caregiver training in an AAC intervention for severe aphasia. Journal of Speech-Language Pathology and Applied Behavior Analysis, 5, 59-64. Goldfarb, R. & Davis, R. (2010), Oceans of the Brain. Journal of Experimental Stroke and Translational Medicine, 3, 22-26. Arroyo, C.G., Goldfarb, R., Cahill, D., & Schoepflin, J. (2010), AAC Interventions: Case study of In-utero Stroke. Journal of Speech-Language Pathology and Applied Behavior Analysis, 5, 32-47. Baylow, H., Goldfarb, R., Taveira, C., & Steinberg, R. (2009), Accuracy of clinical judgment of the chin-down posture for dysphagia during the clinical/ bedside assessment as corroborated by videofluoroscopy in adults with acute stroke. Dysphagia, 24, 423-433. Goldfarb, R., & Bekker, N. (2009), Noun-Verb Ambiguity in Chronic Undifferentiated Schizophrenia. Journal of Communication Disorders, 42, 74-88. Goldfarb, R. (2006), Operant Conditioning and Programmed Instruction in Aphasia Rehabilitation. Journal of Speech-Language Pathology and Applied Behavior Analysis, 1, 56-65. Goldberg, E., & Goldfarb, R. (2005), Grammatical Category Ambiguity in Aphasia. Brain and Language, 95, 293-303. Goldfarb, R., & Santo Pietro, M. J. (2004), Support Systems: Older Adults with Neurogenic Communication Disorders. Journal of Ambulatory Care Management, 27, 356-365. Goldfarb, R., & Goldberg, E. (2004), Communicative Responsibility and Semantic Task in the Language of Dementia. Perceptual and Motor Skills, 98, 1177-1186. Levey, S., & Goldfarb, R. (2003), Comprehension of Indirect Requests by Persons with Fluent Aphasia. Perceptual and Motor Skills, 96, 245-256. Jones, J., Obler, L.K., Gitterman, M., & Goldfarb, R. (2002), The Interface of Phonogy and Morphology in Agrammatism: Negation in African American Vernacular English. Brain and Language, 83, 164-166. Goldfarb, R. (1996), Transposition of words as indicators of semantic state in aphasia. Perceptual and Motor Skills, 82, 112-114. Goldfarb, R., Eisenson, J., Stocker, B., & DeSanti, S (1994), Communicative responsibility and semantic task in aphasia and “schizophasia. Perceptual and Motor Skills, 79, 1027-1039. Santo Pietro, M. J., Weinstein, B., & Goldfarb, R (1993), Developing a model program in speech-language pathology and audiology for the inner-city university. Journal of the American Speech-Language-Hearing Association, 35, 33-35. Volin, R., Goldfarb, R., Raphael, L., & Weinstein, B. (1990), Language, speech, and hearing in Pick’s disease: A case study. Clinical Gerontologist, 10, 93-98. Goldfarb, R. (1987), The Pollyanna hypothesis in adult aphasia. Aphasiology, 1, 361-367. Halpern, H., Goldfarb, R., Brandon, J., & McCartin-Clark, M. (1985), Word-association responses to time-altered stimuli by schizophrenic adults. Perceptual and Motor Skills, 61, 239-253. Santo Pietro, M. J., & Goldfarb, R. (1985), Characteristic patterns of word association responses in institutionalized elderly with and without senile dementia. Brain and Language, 26, 230-243. Goldfarb, R., & Balant-Campbell, A. (1984), Cognitive discrimination in brain-damaged adults: Color vs form preference. Perceptual and Motor Skills, 58, 63-71. Goldfarb, R., & Halpern, H. (1984), Word association responses in normal adult subjects. Journal of Psycholinguistic Research, 13, 37-55. Goldfarb, R., & Halpern, H. (1981), Word association of time-altered auditory and visual stimuli in aphasia. Journal of Speech and Hearing Research, 24, 234-247. Goldfarb, R., & Scharf, (1980), The effect of time-altered stimulus presentation on an aphasic adult’s clustering ability. Aphasia-Apraxia-Agnosia, 24, 1-14. Goldfarb, R., & Bader, E (1979), Espousing melodic intonation therapy in aphasia rehabilitation: A case study. International Journal of Rehabilitation Research, 2,, 333-342. Jensen, M., DeMetropolis, S. & Goldfarb, R. (2016). Word association of time-altered auditory and visual stimuli in TBI. In ASHA, Philadelphia, PA.
Robert Goldfarb (2016). An aphasiologist has a stroke. In TEDx Adelphi University. Performing Arts Center, Adelphi University, Garden City, NY. Goldfarb, R. (2015). Record of an illness: An aphasiologist has a stroke. In ASHA. Denver, CO.
Battaglia, D., & Goldfarb, R. (2014). Word Association of Multimodal Stimuli in Individuals With ASD. In ASHA. Orlando, FL. Crowley, C., & Goldfarb, R. (2014). Effects of Deep Brain Stimulation on Communication. In ASHA. Orlando, FL. Goldfarb, R., DeMetropolis, S., & Friedman, D. (2013). Preference of orthographic vs. semantic distinctions in aphasia. In ASHA. Chicagho, IL. Goldfarb, R. (2013). Keynote Address: Time-Altered Word Association Tests: A free Website. In Foro Fulbright Colombia. Universidad Pedagogica Nacional, Bogota, Colombia. Riquelme, L., Salgado, M., Lazarus, C., Goldfarb, R., Zonenshayn, M., & West, J.F. (2013). Effects of deep brain stimulation on swallow physiology in patients with Parkinson disease. In Dysphagia Research Society,. Seattle, WA. Battaglia, D., Golfarb, R., & Finik, M. (2012). Word association of time-altered auditory and visual stimuli in autism. In ASHA. Atlanta, GA.
Baylow, H., Goldfarb, R., & Steinberg, R (2012). Swallowing and neuromuscular fatigue in adults with acute stroke: A videofluorographic analysis. In Dysphagia Research Society,. Toronto, Canada. Goldfarb, R. (2011). Oceans of the brain. In ASHA. San Diego, CA. Goldfarb, R., & Raphael, L. (2010). An acoustic analysis of amusia. In American Speech-Language-Hearing Association. Philadelphia, PA.
Arroyo, C., Goldfarb, R., & Sands, E. (2010). Caregiver AAC training in aphasia: A case study. In American Speech-Language-Hearing Association. Philadelphia, PA.
Goldfarb, R. (2010). Time-Altered Word Association Tests (TAWAT): A Free Website. In NYSSHLA. Saratoga Springs, NY. Goldfarb, R. (2009). What do nouns and verbs tell us about typical and disordered adult brains? In ASHA. New Orleans, LA. Baylow, H. E., Goldfarb, R., Taveira, C., & Steinberg, R. (2009). Accuracy of clinical judgment of the chin-down posture for dysphagia during the clinical/ bedside assessment as corroborated by videofluoroscopy in adults with acute stroke. In Dysphagia Research Society. New Orleans, Louisiana. Perkins CJ, Korgaonkar MS, Fiore SM, Squires N, Goldfarb R, McCloskey KM, & Wagshul, ME (2007). Functional evaluation of aphasia recovery in stroke patients using fMRI and ERP. In American Academy of Neurology. Boston, MA. Goldfarb, R., & Bekker, N (2006). Noun-verb ambiguity in chronic undifferentiated schizophrenia. In American Speech-Language-Hearing Association. Miami, FL. Goldfarb, R. (2005). Grammatical category ambiguity in normal aging. In American Speech-Language-Hearing Association. San Diego, CA. 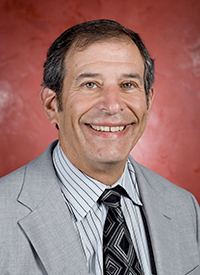 Robert Goldfarb (2013, April). Keynote Address: "Time-Altered Word Association Tests: A Free Website". Foro Fulbright, Bogota, Colombia. Fulbright Senior Specialist grant in Applied Linguistics/TEFL at the National Pedagogical University, Colombia, $9,075, 2013. Word Association of Time-Altered Auditory and Visual Stimuli in Autism (with Prof. D. Battaglia). Faculty Development Award, Adelphi University, $1,500, 1/1/12-12/31/12. Effect of alternative-augmentative communication by caregivers in aphasia (with Prof. C. Arroyo). Faculty Development Grant, Adelphi University,$3,500, 1/1/08-8/30/09. Time-altered word association tests: computerized version. President's Faculty Development Award, Adelphi University, $4,500, 1/1/04-12/31/04. Symposium on ethics and the Tudor study: implications for research in stuttering. Malcolm Fraser Foundation, $2,500, December 13, 2002. Smith G., PI (Goldfarb, R., Co-PI). Bridges-to-the-Doctorate. National Institutes of Health, $635,496, 10/1/02-9/30/05. Doctoral fellowships in stuttering research. Malcolm Fraser Foundation, $25,000, 1/1/02-12/31/04. Communicative responsibility and semantic task in the languageof dementia. PSC-CUNY Research Foundation award, 1997-98; George N. Shuster Foundation Award, 1998-99. Higher education opportunity program. New York City Board of Education and New York State Education Department, $12,000, 1998-99. Teacher of the speech and hearing handicapped, bilingual extension. New York State Education Department, $10,316, 1996-97. Lehman College, CUNY-University of Puerto Rico copperative M.A. program in speech-language pathology. TheraCare, $20,000, 7-95-8/96. M.A. program for bilingual professional education in speech-language pathology and audiology. New York State Incentive Grant, $39,000, 7/94 (funds frozen 1/95). Lehman College Speech and Hearing Center. Chase Manhattan Neighborhood Grant, $3,000, 1989-91. Lehman College Speech and Hearing Center. Human Resources Administration, Community Development Agency, NYC, $200,000,1989-1998. The Pollyanna hypothesis in adult aphasia. George N. Shuster Foundation Award, 1985-86. Word association of time-altered stimuli in psychosis. PSC-CUNY Research Foundation Award, $8,813, 1982-83. Hope E. Baylow (2008). Accuracy of clinical judgment of the chin-down posture for dysphagia during the clinical/ bedside assessment as corroborated by videofluoroscopy in adults with acute stroke. Adelphi University. Elmera Goldberg (2003). Grammatical Category Ambiguity in Aphasia. City University of New York. November 1998 – Esprit Award for Clinical Excellence. Visiting Nurse Service of New York—Home Care. April 2000 – Distinguished Achievement Award. New York State Speech-Language Hearing Association. October 2003 – Professional Achievement Award (Highest award). New York City Speech, Hearing, and Language Association. November 2005 - AAC Institute Award for "PECS to AAC: Case Study of Possible In-Utero CVA," presented at the annual convention of the American Speech-Language-Hearing Association, San Diego, with D. Lavi and C. Arroyo.